Announcing the arrival of the Playing is Learning blog! 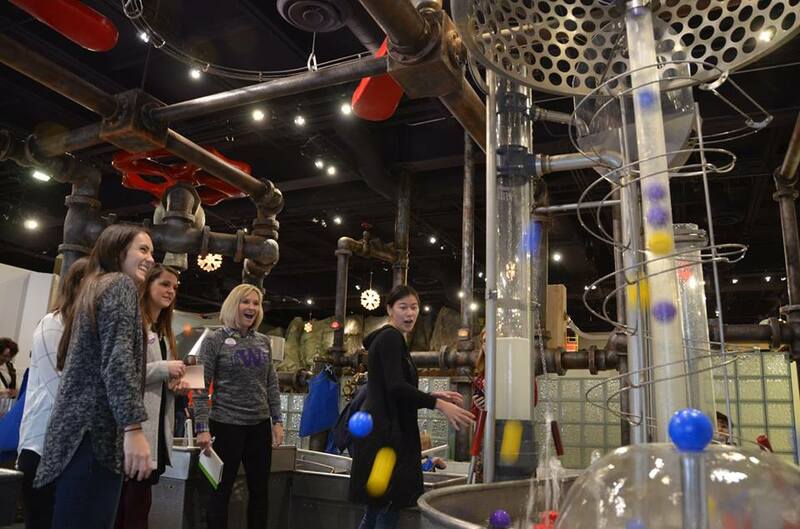 The mission of Imagine Children’s Museum is to utilize playful learning to enrich children’s lives. We aim to support all children and families and their love of play, and we make sure this happens every day, both for visitors to our museum and for children and families in our community beyond Imagine’s walls. In support of this mission, Imagine is proud to announce a new partnership and platform for outreach! Through our new partnership with the University of Washington College of Education, we are launching the Playing is Learning blog, written by graduate students in the School Psychology Program. You will find new entries, information and resources right here every few weeks. Through this partnership, we hope to join practice and research by addressing important topics and common parental hurdles. Clarissa Alfes is pursuing an EdS and PhD in school psychology, and she earned a BA in psychology from Johns Hopkins University. 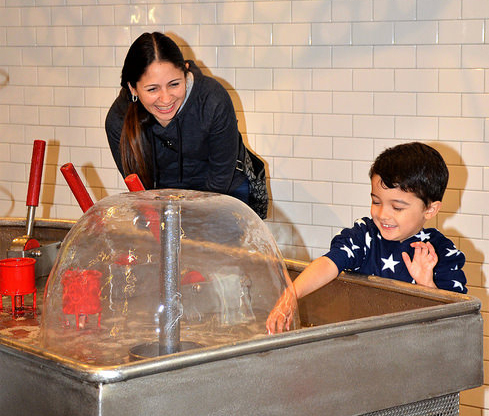 Clarissa is passionate about working with young children to support their school readiness skills, and she especially loves children’s museums. She has studied early math development using museum-based, experiment games with little scientists from the community. She grew up playing all the games she could get her hands on: board games, card games, puzzles. Clarissa is still always up for a game! Jessica Anderson is currently pursuing a PhD. Before graduate school, Jessica studied elementary and special education and psychology in Wisconsin and had the pleasure of teaching 4thgraders. She is interested in literacy development in young children, and how parents and teachers can work together to support children’s academic success. Jessica lives in Seattle with her partner, Dan, and 3-year-old daughter, Avery. As a child, Jessica spent hours outdoors pretending with her five siblings and loved to play “teacher”. As an adult, Jessica still spends some time playing outdoors through hiking and biking, and she loves to get creative with the arts. Caitlin Courshon is working towards a PhD in school psychology and has a BS in psychology and sociology. Before starting graduate school, Caitlin worked in Seattle Public Schools to support literacy intervention for kindergarten through 3rdgrade students. She is passionate about educational equity and is interested in school-family-community partnerships that support children’s academic and social-emotional success. Caitlin grew up in the Pacific Northwest, so she has always loved exploring the outdoors. She still loves hiking, biking and lake swimming to this day. Hannah de Vries is pursuing an EdS and has a BS in psychology. She has worked in several different research centers with children from 2 months to 10 years old. Hannah is interested in how parent-teacher partnerships support student learning and development and wants to improve the current education system. She grew up in Canada and could always be found outdoors and playing in the snow (which still applies today!). Rachele Gentry is pursuing an EdS in school psychology and earned her BS in psychology and family and child sciences from Florida State University. She wants to base her career on increasing educational equity and creating a school system that allows everyone to achieve. Rachele grew up in Florida, so she spent most of her time at the beach, in the pool or hanging out at Disney World. Now, she is embracing all the Pacific Northwest has to offer, including hiking, sightseeing and playing in the rain. Kayla Polk is pursuing a PhD and earned her Master’s degree in research psychology. She has studied school readiness skills of children in preschool settings. Kayla is interested in children’s developing early math skills, and how effective educational environments can build strong academic and behavioral skills for long-term success. Kayla grew up in the Southeast region of the U.S., and she spent time using her imagination while playing in the woods. Kristen Missall, PhD, is a professor of school psychology at the University of Washington. Kristen has been a professor for 15 years, and before that, she worked in early childhood programs and elementary schools. She researches how children age 3 to 8 develop literacy, math and prosocial skills, and is also interested in the role of child development, educational supports and parenting in children’s school success. Kristen has a wonderful family including her supportive husband (Robb), three children (Meggie , Max , Alex ), one happy golden retriever (Finn), one chubby guinea pig (Bean), and 8-12 fish (give or take). At all ages Kristen has loved playing and creating with art supplies – bring on the markers, colored paper, shape scissors, glue and glitter! This blog is designed with your needs and interests in mind. We look forward to posting just-in-time topics and tips, and connecting with you!